Mediation is a process where the people in dispute meet with a neutral third party to reach a mutually acceptable, durable, legally enforceable agreement. Simply put, it is a facilitated negotiatation. Mediators are unbiased, neutral third parties, who have received specialized training to assist parties to reach settlements through a structured negotiation process. They provide a safe, neutral environment and promote effective communication. They do not decide matters for the parties like arbitrators or judges. They assist the parties in reaching their own mutually agreeable solution. Mediation requires that the individuals in dispute be willing to express their concerns openly and honestly, and also consider the concerns of the other people in the dispute. This process encourages collaboration between the parties so that creative solutions can be explored and lasting solutions can be found. It is effective in both legal situations where a lawsuit has been filed and in circumstances where a non-legal approach is preferred. It is a non-adversarial, respectful and flexible process. Mediations typically resolve quickly, usually in one to two sessions. In contrast, the processing standard for the court is to take from 10-12 months from filing to resolution for 90% of the civil and domestic matters. 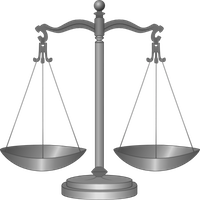 Settling cases before litigation frequently produces a better result- for both parties. A recent study showed that 62% of plaintiffs and 24% of defendants in litigation would have done better financially had they settled rather than tried their case. Mediation is also private and you have greater control over the outcome, with an ability to “tailor” the resolution to your concerns. It is is centered on the need for people to truly hear each other on a deeper level than is possible in litigation. The parties craft their own resolutions that work for them long term, rather than having a settlement imposed by a court. This process may also allow parties the opportunity to work through emotional issues that are left unattended in the legal system. Parties who work through mediation have a much better chance of preserving on-going relationships, and it encourages parties to learn effective negotiation skills. Bruce charges $180/hr. for his time and requires an advance deposit to cover the time anticipated, typically in 4 or 8 hour blocks of time, with 2 hours of preparation time. Thus, for a 4 hour mediation the advance deposit would be 4 hrs. of mediation and 2 hrs. of preparation time, or 6 hours total, times $200/hr. = $1200. Each party is expected to advance 50% of that deposit unless the parties agree or a court orders otherwise; but final responsibility for cost is to be proportionate to incomes per LFLR 16 unless the parties agree otherwise. Additional time spent by the mediator or staff is charged at $200/hr. and $120/hr. respectively for drafting final agreements or dealing with other ongoing issues. How do I set up a mediation session? Call our office at 206-327-9335. We will take critical information and lead you through the procedures for setting up the process. Confidentiality is critical to mediation and is defined and enforced by RCW 7.07. Because it is confidential, it means that nothing said or disclosed in the process can be disclosed outside the mediation (with some legally required exceptions such as child abuse). Mediators cannot generally be subpoenaed or required to testify about the substance of the session. The confidential nature of the process creates a safe place for the participants to talk and to make offers they might not otherwise be comfortable making. It facilitates communication that has broken down during the conflict, and allows them to find settlements that work for them. The Mediator will memorialize whatever agreements you reach during mediation. You are encouraged, but not required, to have this Memorandum of Mediation reviewed by an attorney of your choice. The mediator cannot give legal advice, even if the mediator is a lawyer.